Hi!! 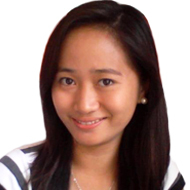 I’m Teacher Jen,a graduate in Bachelor in Elementary Education and a licensed teacher, 25 years of age and currently working as an ESL teacher at BECI Baguio English Communication Institute at Green Valley last August 27- January 17 2013. I like reading books and teaching English Language to Korean and Japanese students in any level. I am also a good singer and I also use music to enhance the listening skills of my students. Ive been teaching Reading, Speaking, Listening, and Writing to my students before. I’m kind and friendly and very patient in teaching that’s why during my class before all of my students enjoyed having class with me. Copyright © オンライン英会話 子供/キッズからシニアまで人気。おすすめ/無料/格安/スクール 多くの評判・ランキング・口コミで最高評価｜英会話個別指導でNo.1のエイゴル エイゴル事務局 All Rights Reserved.